Reduce your risk through preventative care. Learn how small changes in your diet make big choices for your health. All who attend will receive a cookbook participate in recipe tasting, and be entered to win a $25 prize! 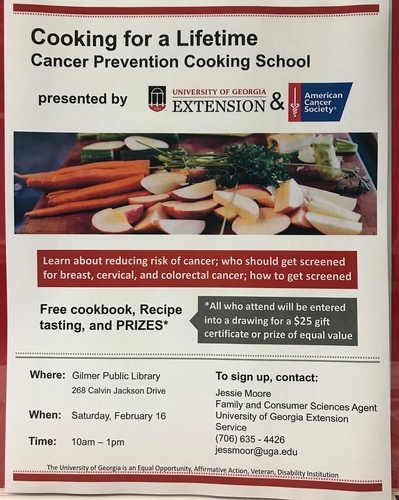 Presented by Jessie Moore UGA Family and Consumer Science Agent.